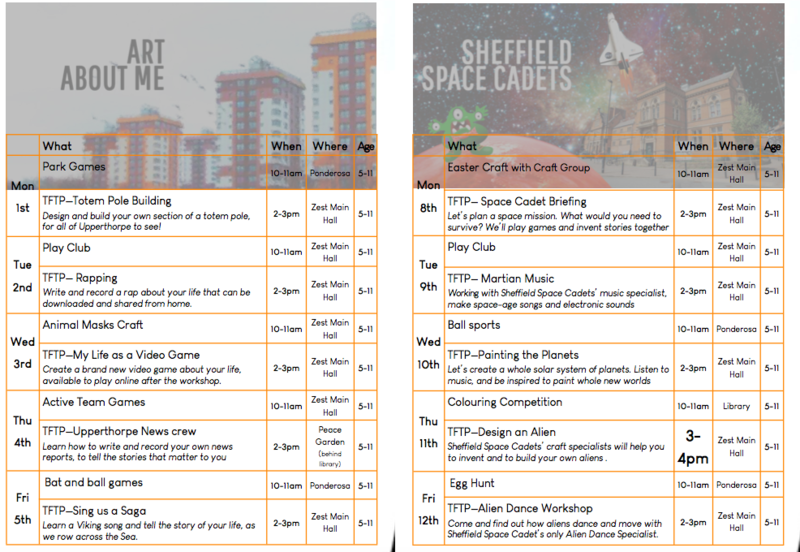 Wow so much going on for Sheffield Easter holidays!!!! 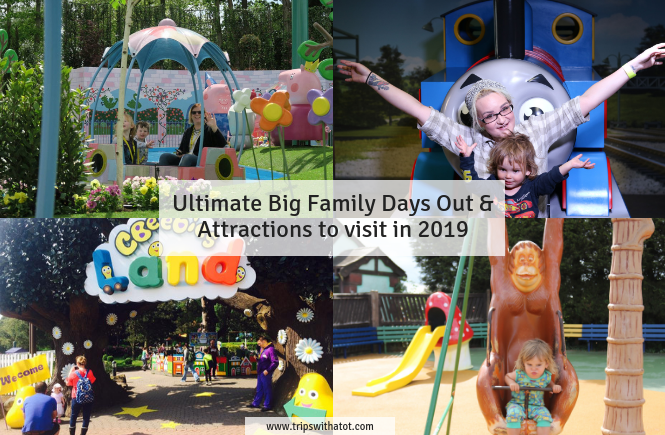 Here’s a bonus roundup to cover amazing family friendly events. 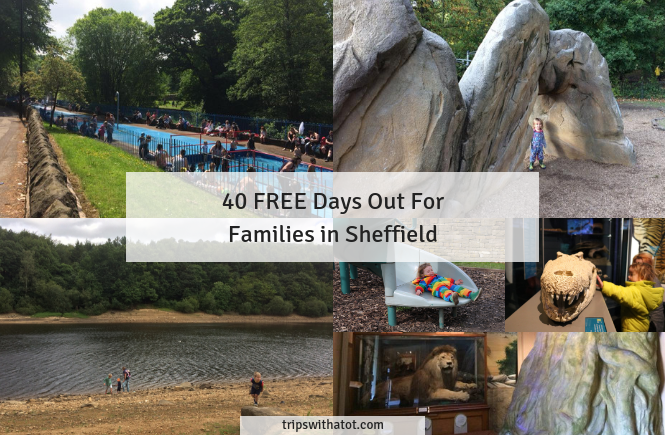 Whilst many of you who read my blog don’t have school aged children yet (or home educate) school holidays is a great time for fantastic events for all ages so do have a browse. ‘Normal’ weekend roundups will return on April 17th and will go back to usual with guides published every Wednesday for the upcoming weekend. 30th March-13th April, Easter Holidays Gruffalo and Friends Story time and activities at Waterstones Orchard Square. Free daily story time at 11:30am, plus colouring and a Easter egg trail. Plus on 4th April 2pm-4pm, The Gruffalo’s 20th Birthday Party! 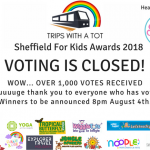 Free fun activities including making your own Gruffalo mask, a Gruffalo treasure hunt, pin the poisonous wart on the Gruffalo’s nose, colouring galore- and of course no party is complete without pass the parcel! 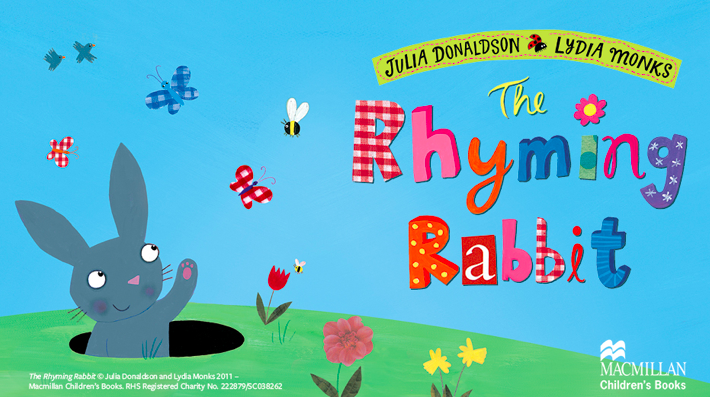 30 March-29th April, Easter Holiday Family Fun with The Rhyming Rabbit Easter Hop About at Harlow Carr. Hop about the garden on a daily garden trail in search of animals from the picture book by Julia Donaldson and Lydia Monks. Plus Easter crafts, story telling & more. 30 March-28th April, Easter at Chatsworth. Daily activities in farmyard and garden including easter trail, face painting, crafts, discovery tour & more. Throughout April, Easter Adventures at Calypso Cove Waterpark. 4 weeks of fun including 3 pool parties. Throughout April, lots happening at Matlock Farm Park like bottle feeding lambs, ferret race, stilt walking and more. See schedule here and Facebook events here. Throughout April, a lot of events going on at Austerfield Study Centre in Doncaster. 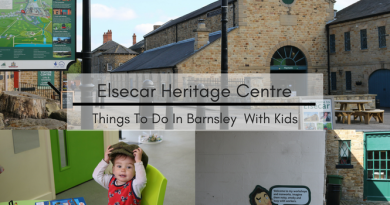 Easter egg rolling, Bonnet making, bunny day days, very hungry caterpillar sessions and more. 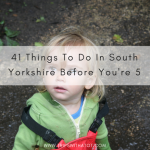 Throughout April, there’s many outdoors events with Yorkshire Wildlife Trust in Doncaster. 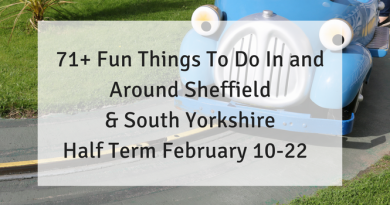 Forest Tots 15th April, Craft & Play 11th April, Pond dipping drop in 10th April, Lost Words treasure trail and much more. See all events here. Throughout April specific dates 8th, 12th, 15th-17th, Magna Mayhem. Throughout April, family films at Showroom Cinema including Willy Wonka & Princess and the Frog. Throughout April, Sherwood Forest Easter Trail. 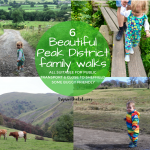 £2 per trail. 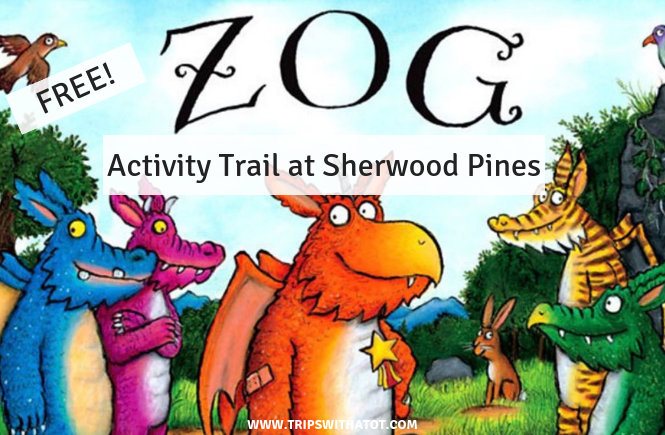 Plus there’s also the Zog trail at Sherwood Pines. Throughout April, Egg-splore Tropical World this Easter at Tropical World, Leeds. A different type of egg trail. Throughout April, Easter Adventure Quest at Bolsolver Castle. Throughout April, Alice in Wonderland trail at Newby Hall & Gardens. Throughout April, Easter egg Hunt at Stockeld Park. Find our hidden eggs in the Enchanted Forest and win great prizes! Standard admission applies. Throughout April, Longshaw Estate has a Spring Chicks family trail on starting 30th March. £2 child for trail sheet. 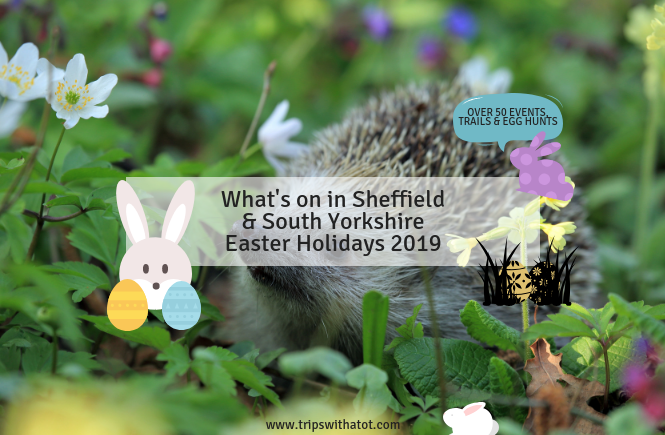 Monday April 1st-28th April, Hoppy Easter Adventure Trail at Mother Shiptons, Knaresborough. 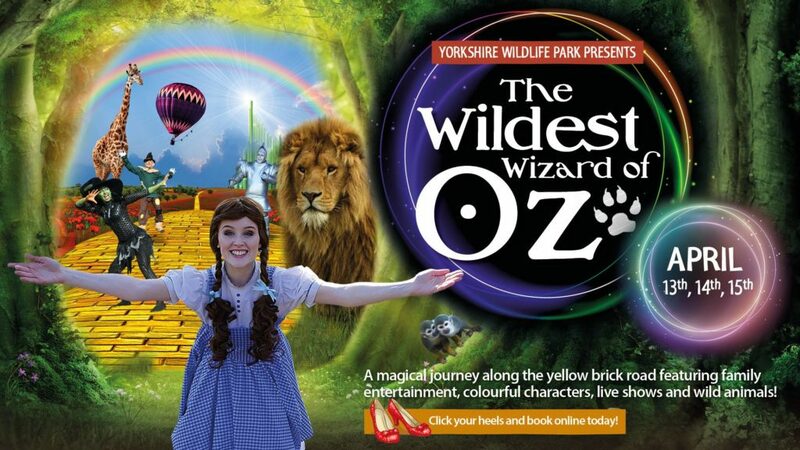 The park will be transformed with props and actors, creating an engaging and interactive Easter event suitable for all the family. Every day from Monday 1st April to Sunday 28th April, open 10am to 5.30pm. April 17, Spring into Easter at Rotherham Town Centre, 11am-3:30pm. 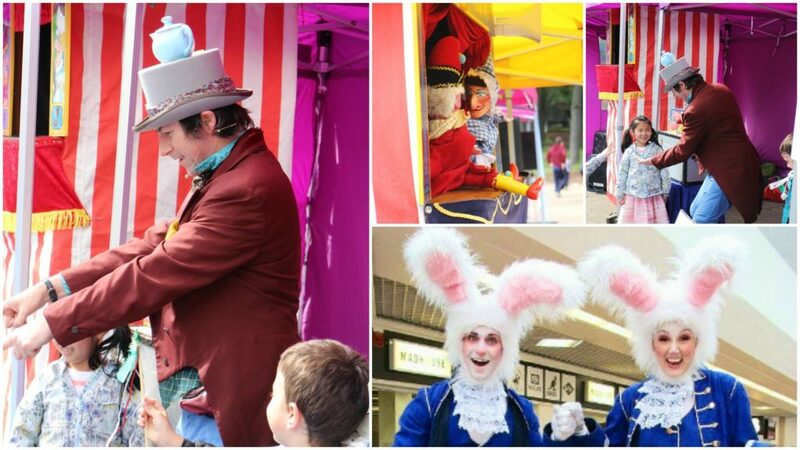 Be amazed by The Mad Hatter Magic Show and Professor Dan’s Punch & Judy. Say hello to the Bouncing Bunnies and join in the free craft activities and cupcake decorating! April 17, Easter Crafts 1-3pm at Boston Castle in Rotherham. Come along and hop into some Easter themed fun! 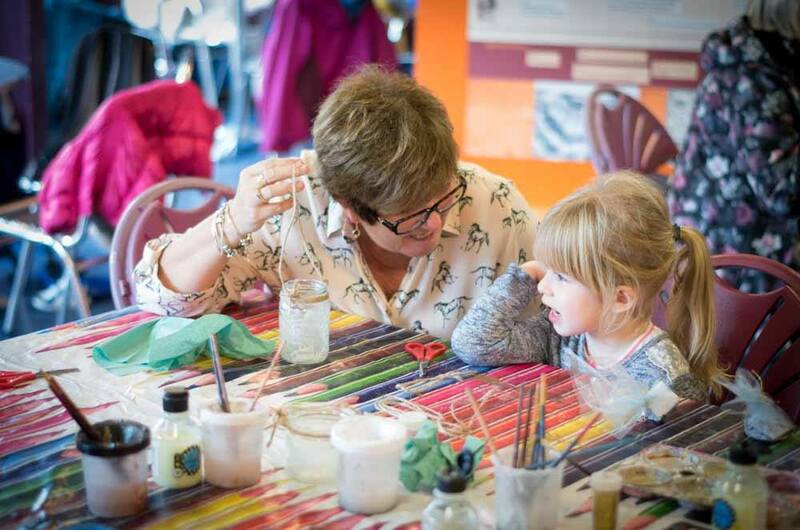 Make your own chicks and bunnies using fantasy dip film, plus lots of Easter themed crafts and join in with the Easter trail. 4-11 year olds. 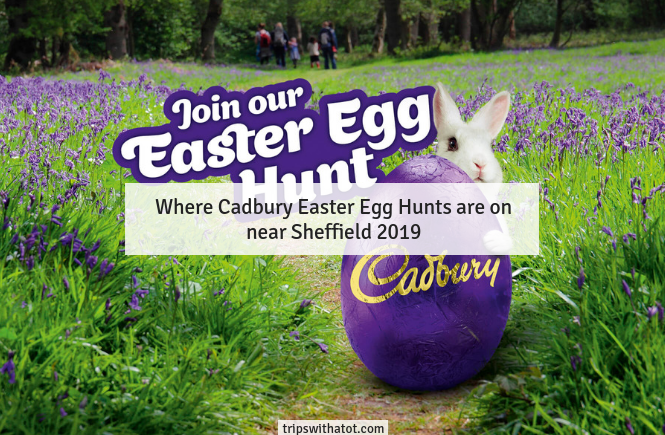 Find a Cadbury Easter Egg hunt near Sheffield & in South Yorkshire here. Renishaw Hall & Gardens reopens end of March. There is an Easter Hunt Friday 19th – Sunday 21st April. 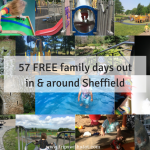 Thursday April 18th-22nd April: Free Brearly Bear’s Easter Egg Hunt, Sheffield City Centre. 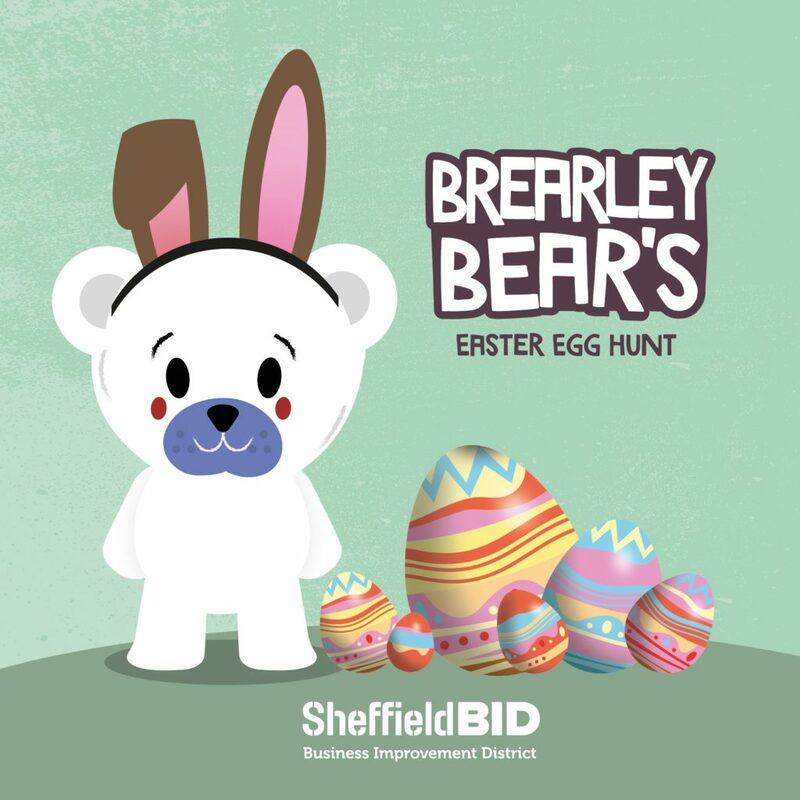 Hop down to Sheffield city centre this Easter and help Brearley Bear on his Easter Egg hunt. Crack the clues then collect your very own chocolate egg! Map & clues here. 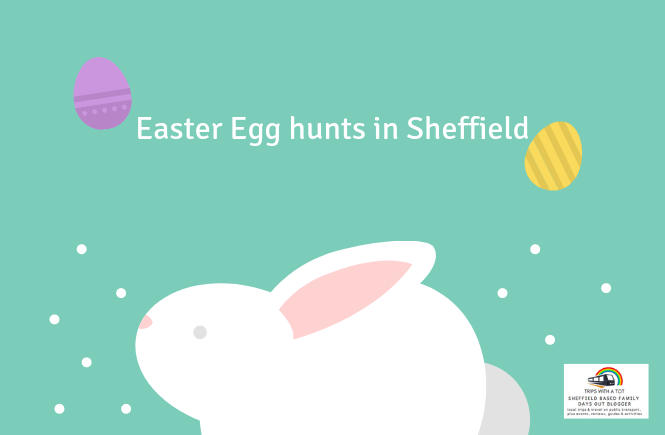 Saturday 20th April-22nd April: Handcrafted Easter Egg Hunt at Abbeydale Industrial Hamlet.Follow the clues around the Hamlet and see you if can track down our fantastic array of handcrafted eggs – all made by Abbeydale crafts people! There will be an Easter treat for children taking part! The Easter Egg trail is suitable for children of all ages, and is free as part of the usual entry fee. April 20, Heeley City Farm Easter egg Hunt, 12-2pm, £1.50 per trail. Simply turn up at the community room (by the duck pond) on the day and collect an entry form and clue sheet and go hunting! The eggs around the farm will be card and once you’ve finished they will be swapped for chocolate eggs. Easter Special at Rattle & Roll PlaySpace, April 20th. 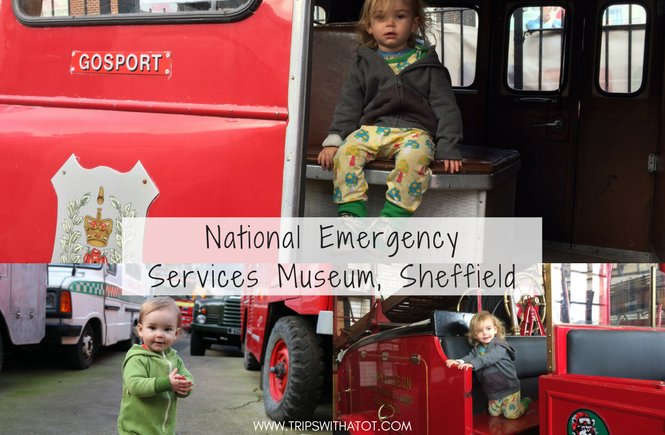 Music, arts and crafts, and messy play session + Egg hunt. 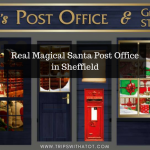 April 20, See The Gruffalo and Gruffalo’s child at Leeds Town Hall. April 20, Breakfast with Easter bunny & Alice at Fairway Pub in Barnsley. April 20, Easter egg Hunt at Shoulder of Mutton, Worral from 11am. April 20, Bluebell Wood bunny hop with Alhambra Shopping Centre. April 21-22nd, Crich Tramway Village World War II Home Front. World War II Home Front Event with early 1940s vehicles, activities, re-enactors and music, plus vintage trams from the era running. April 21, Easter Sunday Reptile & Exotic Animal Encounter at Matlock Farm Park, 11am-2pm, free with admission. April 21, Easter Sunday community event at Locke Park, Barnsley. Running from 12 noon until 4pm our Easter community event with Easter egg rolling, Easter egg hunting, Easter bonnet competition, disco music, face painting, tombola and craft stall. Sunday 21st April-22nd April: Hot Cross Bunnies Easter Trail at Kelham Island Museum. On Easter Sunday and Monday children can pick up a Hot Cross Bunnies Easter Trail to follow their movements around the museum – can you find all ten bunnies to collect your prize? The Easter trail is suitable for children of all ages, and is free as part of the usual entry fee. April 21, Sheffield Easter egg Run at Weston Park. 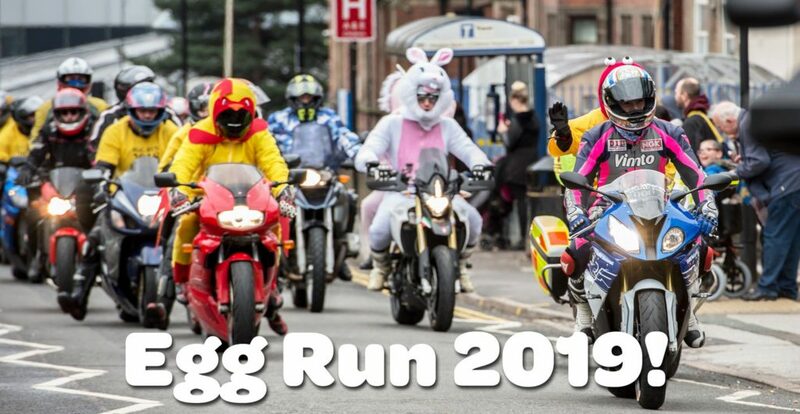 Charity patron and two-time World Superbike Champion James Toseland will be leading the way again on his 14th Egg Run, before taking photos with riders at the Weston Park finish from 8am. 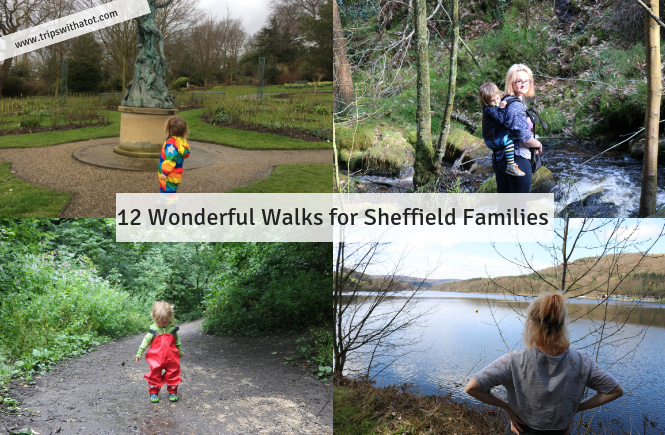 April 21, Family Easter Extravaganza, 5km & 10km fun run/walk at Meadowhall. Register before you go. April 21, Easter Fete & Egg hunt at Stannington Community Centre, 11am-3pm. April 21, Kids Easter egg Crafting 10-11:30am at The Stags Head, bouncy castle, food and drinks. April 21-22, Quayside Easter Festival at Dorothy Pax, Victoria Quays. 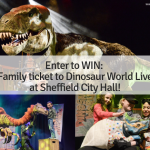 Family art workshops, music, Easter egg hunt & more. April 22, Children’s Easter Celebration party 2019 at Malin Bridge Inn, 2-5pm. 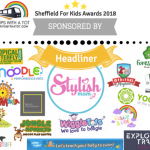 Indoor & outdoor egg hunts, disco, pin the tail, mocktails and more. April 22, The famous Endcliffe Park duck race! The 11th race along the Porter Valley. 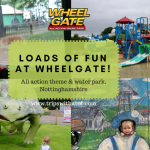 Family entertainment, walks, rides, playgrounds & lots more.